For nearly a year, October 8, 2015 through September 11, 2016, the Cooper Hewitt Museum had a couple rooms dedicated to a Pixar exhibition – “Pixar: The Design of Story”. 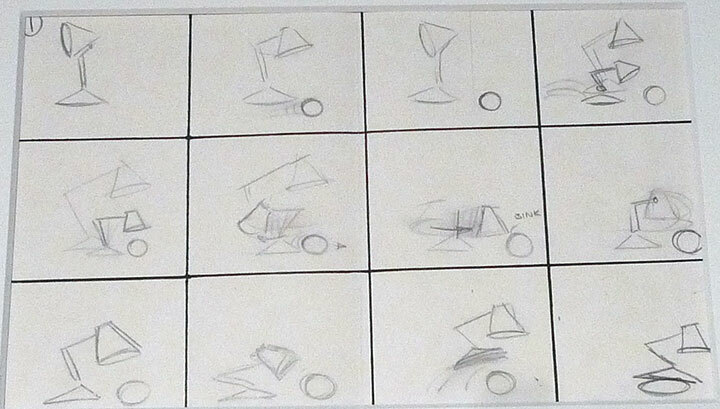 The exhibition featured drawings depicting the conceptualization and development of various Pixar films, such as “Inside Out”. 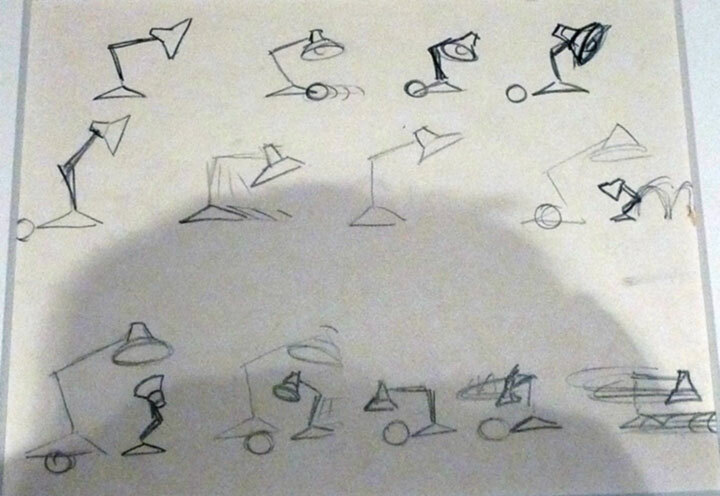 One small room was dedicated to Pixar’s initial animated short “Luxo Jr.” – the animation featuring the desk lamp that went on to be incorporated into Pixar’s production logo. 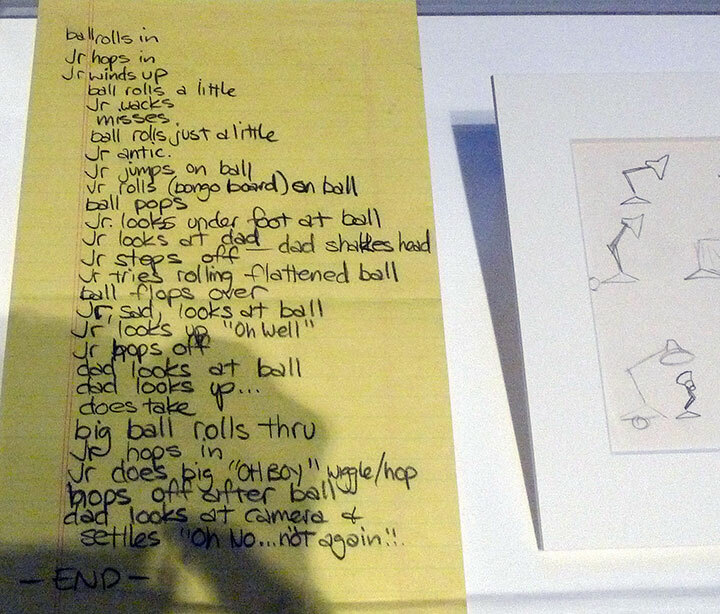 In the gallery, the animated short is screened and the film is accompanied by documents that portray the development of the film from the animation’s script – merely a list of actions and three storyboards. 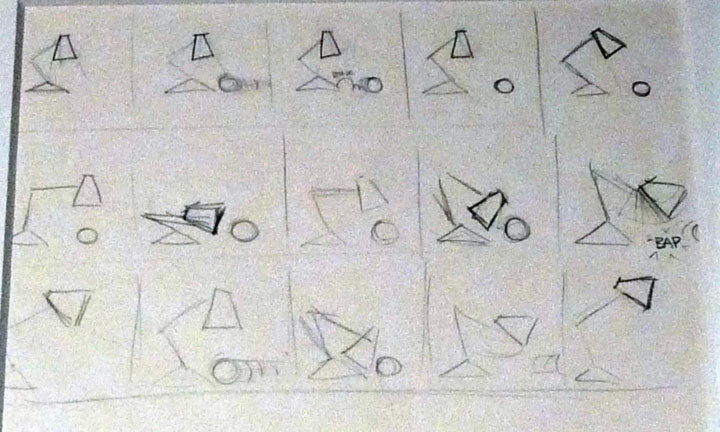 The presentation effectively breaks down the evolution of the animated short and demonstrates how a simple idea may develop into noteworthy production.